Vaishnava acts of compassion are valuable even when apparently not on the level of transcendence. Pure Vaishnavas care deeply. They feel the suffering of others in the core of their hearts. Their greatest compassionate wish is to lead others away from their suffering once and for all – by helping them go back home, back to Godhead. Until people reconnect with Lord Krishna and hear how to lead their lives in His service, they will never achieve true happiness, free from suffering. Since Vaishnavas aim for that most compassionate act of leading people back to the Lord, can they reasonably justify becoming involved with compassionate and charitable acts of a more “mundane” nature? First let us briefly look at the word compassion. According to the Oxford English dictionary, compassion is “sympathetic pity and concern for the sufferings of others.” Definitions elsewhere add that to be true compassion, this feeling must then lead to action. In fact, we find different concepts of what compassion means, some people arguing that it is an emotional response, while others claiming it is something beyond emotion. The Vedic tradition has many words and phrases to describe the subtle feelings of compassion: mercy, pity, the wish to relieve others’ sorrows and difficulties, the inclination to treat others as one would wish to be treated. Some words describe the state of one’s mind after seeing and understanding others’ pain and suffering. Vedic literature has many references to compassion, as do the teachings of the great Vaishnavas in Lord Chaitanya’s line. Those who think that devotion to God and kindness to the jivas [souls] are mutually different from each other, and perform accordingly in their life, such persons will not be able to follow the devotional culture. Their performances are only a semblance of devotion. 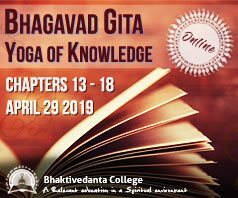 Therefore, all the types of beneficence to others, like kindness, friendliness, forgiveness, charity, respect, and so on, are included in bhakti. . . . The actions of respect, friendliness and kindness are the very form of love and the characteristic portion of bhakti: charity of medicines, clothes, food, water, etc., shelter during adversities, teaching of academic and spiritual educations, etc., are the activities included in the devotional culture. 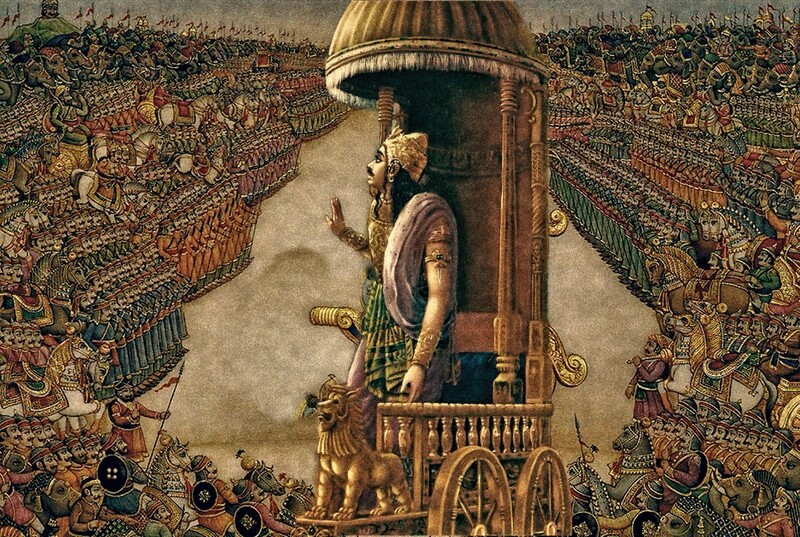 Arjuna, just after seeing his kinsmen, friends, and relatives on the battlefield, was at once overwhelmed by compassion for them who had so decided to fight amongst themselves. As far as his soldiers were concerned, he was sympathetic from the beginning, but he felt compassion even for the soldiers of the opposite party, foreseeing their imminent death. . . . He was also crying out of compassion. Such symptoms in Arjuna were not due to weakness but to his softheartedness, a characteristic of a pure devotee of the Lord. Although Krishna then urged Arjuna to fight, Srila Prabhupada’s comment about “softheartedness” in the purport is important in the context of the topic of compassion. Srila Krishnadasa Kaviraja Goswami, the author of Sri Chaitanya-caritamrita, lists twenty-six good qualities of a Vaishnava. Among other things, devotees work for everyone’s benefit and are friendly, merciful, respectful, magnanimous, kind to everyone, and equal to everyone. How compassionate a Vaishnava must be! We offer obeisances to the Vaishnava devotees of the Lord, who are full of compassion for the fallen, conditioned souls. It is a very important quality of a Vaishnava to be compassionate with others. And one of the symptoms of this compassion is that a devotee cannot tolerate seeing others suffer. A natural human sentiment, compassion finds its highest expression in the works of devotees of the Lord. The tenderness of the heart experienced toward Krishna is known as bhakti. All other jivas are servants of Krishna. When one experiences tenderness of heart toward them, it is known as daya, compassion. Therefore, compassion is included within bhakti. Exhibiting compassion towards living entities is of three kinds. Display of compassion in regard to the gross body of the living entities is counted among pious activities. Distributing free food to the hungry people, distributing free medicine to the diseased persons, distributing free water to the thirsty people, and distributing clothes to persons who are afflicted with cold are all born from the compassion in regard to the body. Giving free education is borne from the compassion in regard to the mind of the living entities. But the highest kind of compassion is in regard to the soul of the living entities. From such compassionate propensity, the eagerness for delivering the fallen souls from the miseries of material existence by awarding them the devotional service to Krishna is produced. Srila Prabhupada’s message was clear, and soon Krishna devotees were inspired to create a global network of free-food kitchens, cafes, vans, and mobile services. These beginnings developed into Food for Life initiatives that provide food relief around the world, bringing ISKCON wider recognition in society. The program serves two million prasadam meals a day and reacts to worldwide disasters, making Food for Life one of the largest food-relief organizations in the world. And the food distributed is prasadam – sanctified food, which brings transcendental benefit. In the war zone of Sarajevo, Bosnia-Herzegovina during the 1990s, Food for Life volunteers visited hospitals, orphanages, basement shelters, homes for the elderly, and institutes for handicapped children every day throughout the three-year conflict, distributing over twenty tons of food. Here, they have a reputation like the one Mother Teresa has in Calcutta: it’s not hard finding people to swear they are saints. In a city full of lies, greed and corruption, the Krishnas deliver the goods. Each day they serve more than 1,000 hot meals, as many as any organization in the city. “Whatever they do God helps them do it,” said Raisa Malocheva, 72, who has been in Grozny every minute of the last year, when it has practically been leveled. “They are the only people left in my life I can rely on.” At least two dozen people waiting for lunch applauded when she spoke. There are no hard sells from the Krishna team in Grozny. It wouldn’t do them any good. As I write this, a wonderful example of Vaishnava compassion is taking place in the war-torn city of Donetsk, Ukraine. When Kishora Gopala Dasa, Yutheshvari Dasi, and others at the ISKCON temple in Donetsk witnessed firsthand the deteriorating situation, they decided they had to do something to spread Krishna’s mercy. They now prepare prasadam and distribute it to 600–800 people every day. Now I am especially concerned to distribute grains, rice, wheat in the form of dahl and rice prasadam to hungry people all over India. The people here are very disturbed because, partly due to the punishment of Nature, and partly due to the mismanagement of the demon class of men, food is not available. If the people do not even have sufficient food they will not even be able to receive spiritual instructions. So I am hopeful that if we can widely distribute free foodstuffs to the people of India, by giving it out at our centers as well as by travelling parties to villages, we will win over the whole country and the whole world by this activity on Krsna’s behalf. The final line is especially relevant to this article, as it shows that ISKCON’s founder-acharya saw how the distribution of prasadam would win over the whole world. Thus he saw prasadam distribution not as isolated acts of compassion, but as a link to the greater goal of leading people back to Krishna. The examples quoted above are of course “large scale,” but Vaishnavas can also show compassion in their everyday lives. I saw one such example during my last visit to Sri Mayapura-dhama. I observed a group of bemused visitors watching a female resident stoop down and tenderly pick up a huge bright-green grub that was slowly crawling across the busy pathway. I asked if she needed any help, and she said she didn’t, and then showed me the grub. With an angelic smile she commented on its “sweet face” and how she was worried it would get stepped on. Such a simple act, and yet all who watched her were surely struck by the compassion she had shown. I’m sure they left with a positive impression of how a true Vaishnava always feels compassion, even for an insignificant grub. Devotees’ participation in this world was dramatically demonstrated in Sukhumi, Georgia after the most extreme atrocities occurred there in the early 1990s. Mayuradvaja Dasa skillfully led devotees for over a year in providing food for war victims, including the old, young, immobile, and infirm. Those selfless devotees risked their lives to ensure that the most vulnerable at least had food. In 1995 the then temple president of Sukhumi, Raghava Pandita Dasa, was murdered. The mayor and many other prominent city officials publicly praised him and arranged for a large public funeral, such was the high esteem with which the devotees were held by the whole community, due in no small part to their acts of brave and selfless compassion. ISKCON’s compassionate activities can boost its public recognition in a positive way. 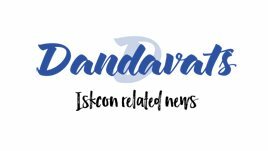 Undoubtedly some people will be inclined to learn more about ISKCON and Krishna, who inspires devotees to perform selfless acts. Therefore not only do acts of compassion help those in need, but they also attract more people to learn about Srila Prabhupada’s teachings and thus progress back toward Krishna. That’s the greatest compassion and the movement’s ultimate goal. We need to be aware, of course, of the three modes of nature in relation to any intention to do charitable work. Giving charity to someone who will use it in an impure way is said to be in the mode of ignorance (tamo-guna). Giving charity with the expectation of receiving something in return, or giving reluctantly out of a sense of duty, is acting in the mode of passion (rajo-guna). Giving charity with no thought of “What’s in it for me?” – giving with care, at the correct time and place, and to a worthy recipient – is an act in the mode of goodness (sattva-guna). Attention to time, place, and circumstance is therefore essential for a Vaishnava when considering a charitable act. None of this in any way reduces the importance of the higher aim of helping people return to Krishna. This is the Vaishnava’s greatest compassion. Keeping the teachings of Srila Prabhupada clearly in the center of all we do, we can achieve this in different ways – including in our more “mundane” compassionate acts. Being truly and genuinely compassionate in our everyday lives can only help us realize this ultimate goal. That can include something as simple as smiling at a stranger. It is clearly understandable why Srila Prabhupada did not want his first devotees to be distracted by a variety of activities, but now ISKCON is an immensely larger organization with thousands of devotees all over the world, and therefore with a capacity to become actively engaged in different levels of society. Through the compassionate activities many devotees are engaged in today, always mindful of time, place, and circumstance, the glories of Srila Prabhupada’s vision is reaching many more millions of people than might otherwise be reached.